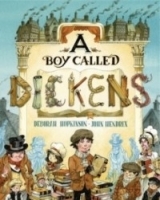 Books Kids Fiction How Do I Love Thee? A gorgeous reinvention of Elizabeth Barrett Browning's famous "Sonnet 43" from the bestselling author of the BabyLit board books and the acclaimed illustrator of Over and Under the Snow. Whether in soft sunlight or rain-drizzled night or winter's frost-etched breath, three children share the love and joy of friendship while exploring the wonders of nature. Bestselling author Jennifer Adams has reimagined Elizabeth Barrett Browning's beloved "Sonnet 43," best known by its opening lines, creating a lyrical, evocative ode to the love of family and friends. Christopher Silas Neal brings the poetry to life with his beautiful, imaginative, and whimsical illustrations. 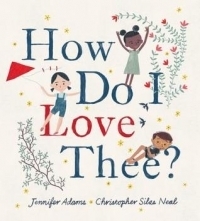 HOW DO I LOVE THEE is a beautifully illustrated children's book that is based on Elizabeth Barrett Browning's "Sonnet 43". The most popular phrase from it being, "How do I love thee? Let me count the ways". In this version, three friends are exploring the ways they love the beauty of nature, the different seasons, and their friendship. It's a great way to introduce poetry to children. No page is left blank and the pictures are engaging and eye-catching. I love the diversity of the three friends and that Jennifer Adams brought this poem to life. This is one of my favorite poems, so it was fun to share with my daughter in a way that intrigued her as well. She also loves natures like the red leaves in fall, so it immediately caught her attention. Final Verdict: I would recommend this to fans of poems, nature, stories about friendship, and beautiful artwork.